A cue ball is hit with a stick at an angle equal to Θ. 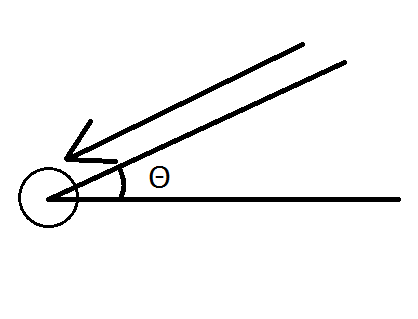 Given that the stick is hit at the exact center of the ball, and that the force behind the stick is equal to X, how do I calculate the initial velocityX and the velocityY of the cue ball? I don't have the necessary physics education on this topic, so I'm seeking help from others using online resources like this forum, so I hope you understand my situation. Browse other questions tagged collision-resolution billards or ask your own question. How can I determine the velocity after impact of a 2D ball collision? How to calculate new velocities between resting objects (AABB) after accelerations? How do I calculate the bounce vector of a ball hitting the starting point of a segment? How can I calculate the penetration depth between two colliding 3D AABBs?